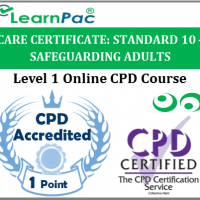 Welcome to our online care certificate standard 4 equality & diversity training course for healthcare and social care providers. Our online care certificate standard 4 equality and diversity training course was developed in line with the latest UK legislation and meet the requirements set out in the Care Certificate, the the National Health Service (NHS), Skills for Health’s UK Core Skills Training Framework (CSTF), the Care Quality Commission (CQC), Skills for Care, UK Health and Safety Executive (HSE) and other professional and regulatory bodies. What is the care certificate standard 4 – equality & diversity? Discrimination broadly refers to actions that are often based on a person’s negative attitude towards others. In human social affairs, discrimination is treatment or consideration of, or making a distinction in favor of or against, a person based on the group, class, or category to which the person is perceived to belong rather than on individual attributes. 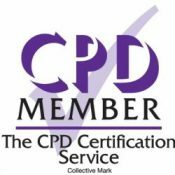 This includes treatment of an individual or group, based on their actual or perceived membership in a certain group or social category, “in a way that is worse than the way people are usually treated”. It involves the group’s initial reaction or interaction going on to influence the individual’s actual behavior towards the group leader or the group, restricting members of one group from opportunities or privileges that are available to another group, leading to the exclusion of the individual or entities based on logical or irrational decision making. 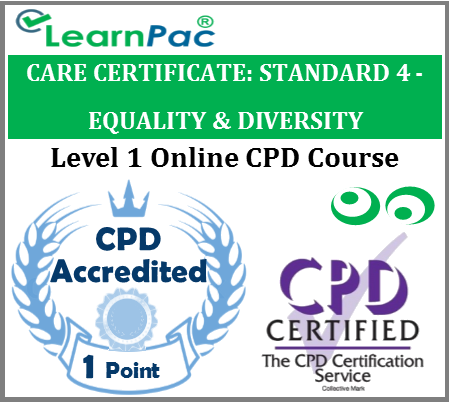 This online care certificate standard 4 equality & diversity training course was developed in line with the CSTF learning outcomes.